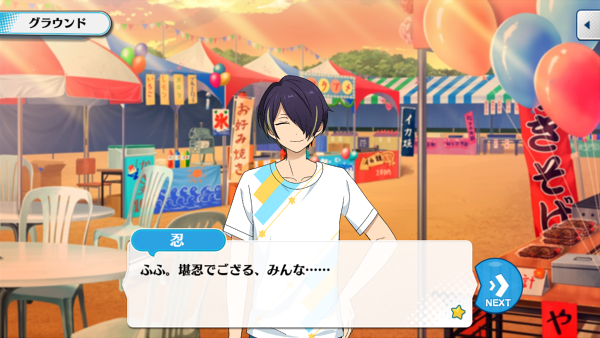 Any translation mistakes? Please contact me here or on twitter! 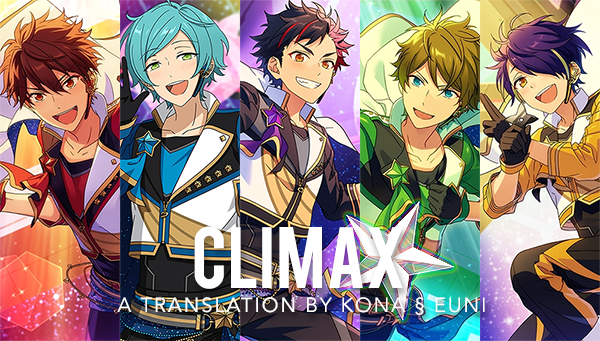 Translated by Kona and me. A story of bonds and tears… Maybe many tears. Wikia link HERE. Disclaimer: As we have split the story between the two of us, there may be slight differences in format. 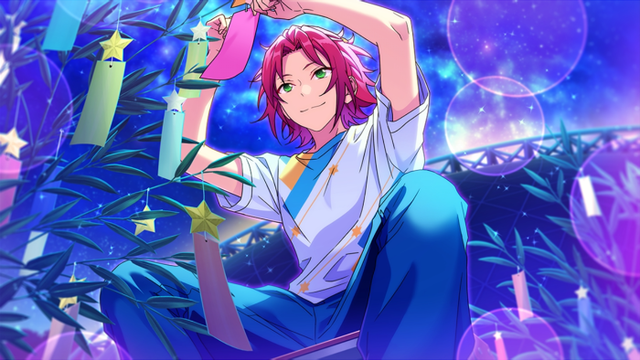 - Tanabata was inspired by Qixi Festival, a Chinese festival celebrating the annual meeting of the cowherd (Hikoboshi) and weaver girl (Orihime) in mythology. 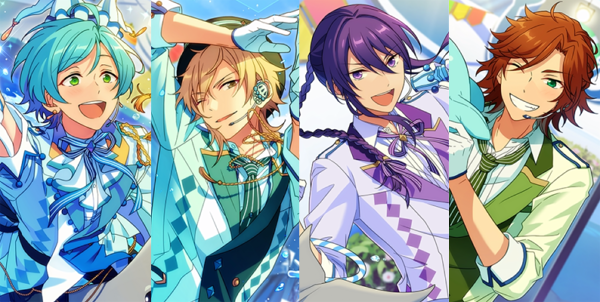 - Trickstar is most likely referencing from Wushu (Chinese kungfu). Since Ryuseitai ended up choosing a similar concept to Trickstar, they’re also referencing from Wushu. - Taolu is the set routines, or “forms”, of Wushu. There are routines performed bare-handed, and routines performed with weaponry. 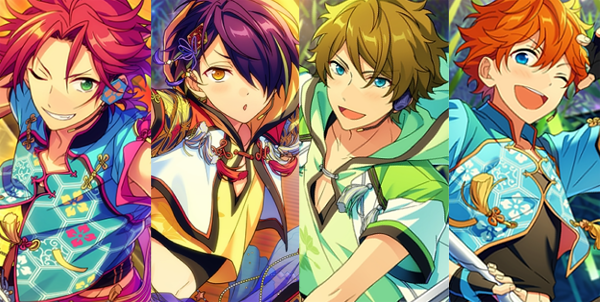 - In this case, Trickstar and Ryuseitai chose a weaponry-based taolu: Gunshu (long staff), and Jianshu (double-edged straight sword) respectively. Both of these styles consist of agile, quick movements, and require a flexibility. 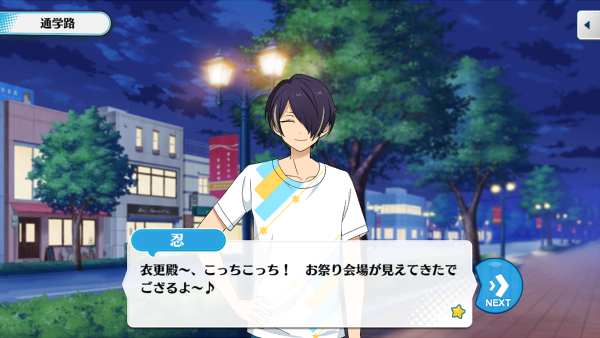 - Shinobu’s pose is the flying kung fu kick (a kick Bruce Lee often does). 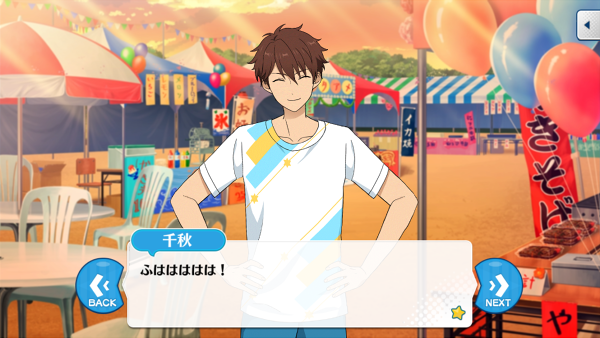 Kenpou, the martial arts Tetora adds to Ryuseitai's performance, also has this kicking style. Thank you Shie and Gold for being my proofreaders! 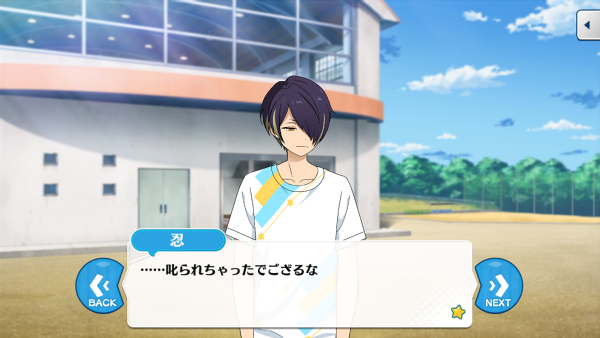 A story about Kanata’s disappearance, his troubles, his cherished friends, and more. Thank you Abbi for proofchecking translations for me, and Spoon for being my proofreader! 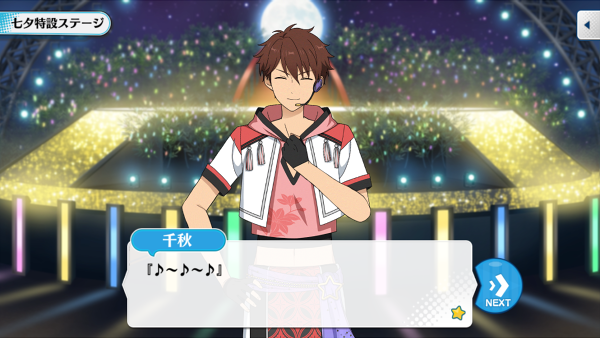 Chiaki talks in an informal/masculine manner with a lot of drama added to it. 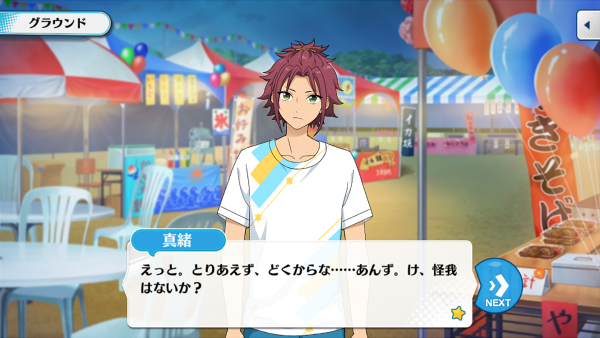 But in various parts of this story, he breaks his usual speech pattern, mostly from being spooked. It’s a little tricky to show that change in speech pattern in English, so I’ve decided to footnote the major ones. 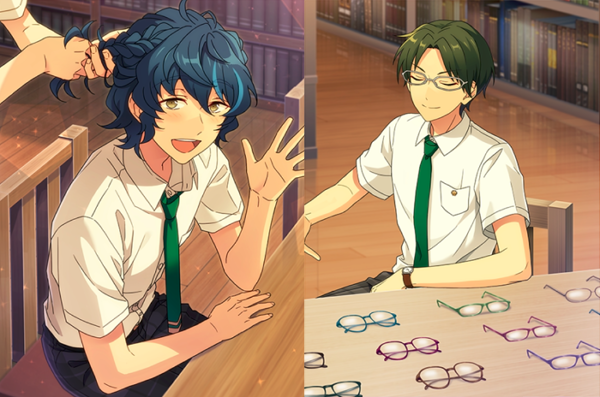 You can read more about each of them in the respective chapter’s T/L notes. 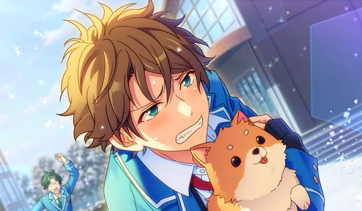 Senpai Turned Into A Dog?! A very soft and sweet story about an awkward friendship, and so much more. Shenanigans happen too. Chiaki says noumen mitai na kao (an expression like noh mask) to describe Kanata’s blank expression. The masks he’s referencing look like this (warning: some are eerie). 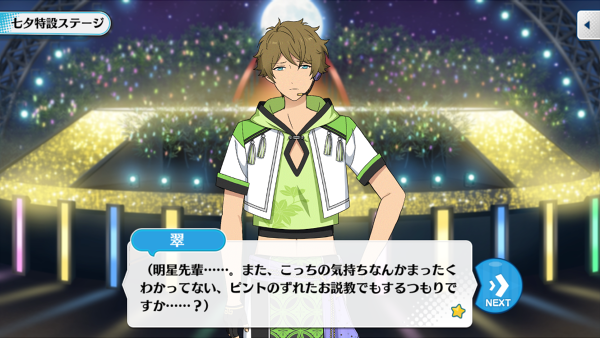 Mao: Um, I'll get off of you now, so... A-Are you hurt anywhere? 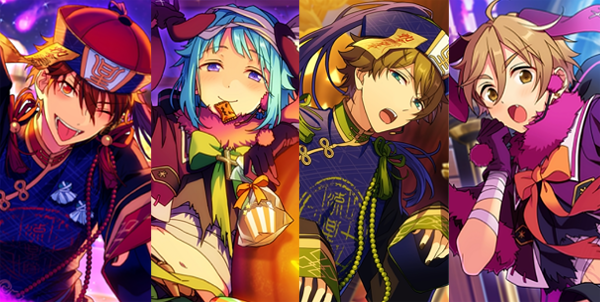 Mao: Right, this should be good. 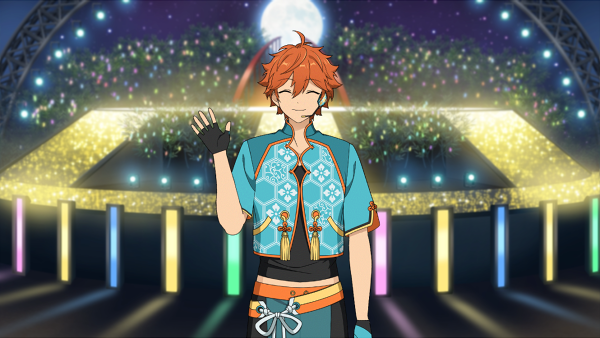 Subaru: Well, see… We told the kids to come back inside to watch us practice, right? 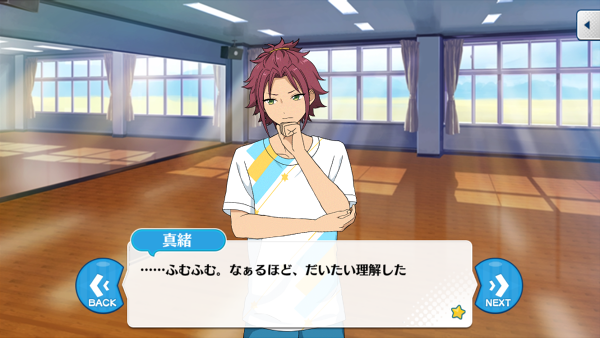 Mao: ...Hm. Alright, I think I've gotten the gist of it. 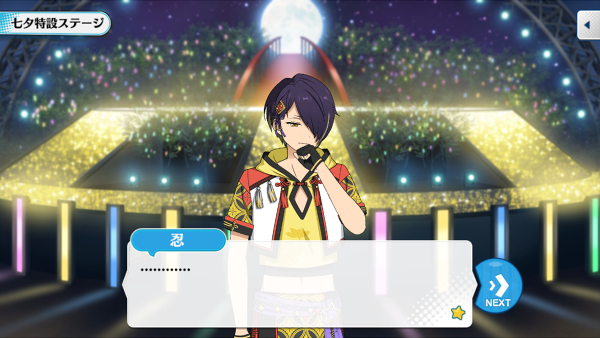 Shinobu: … We got scolded really badly. 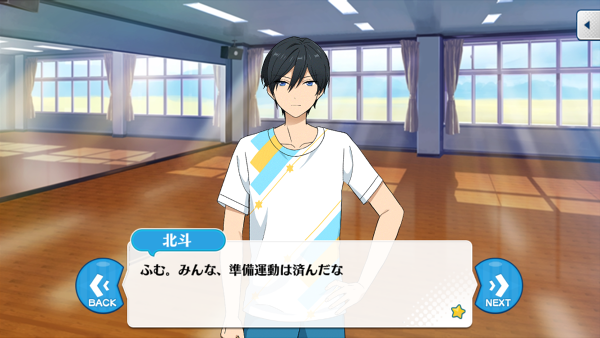 Hokuto: Right, looks like we've all finished our warmups.